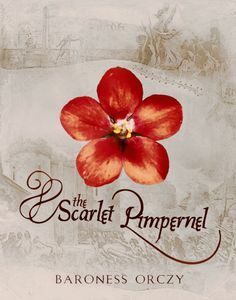 The very first audiobook I ever listened to was The Scarlet Pimpernel, by Baroness Orczy. That was about 35 years ago but I still remember the experience well. The book was on cassette tapes borrowed from the library and it was really a lot of fun to listen to and it sparked a longtime love of listening to books. I borrowed a lot of books on tape from the library, and then a few years later, I became a member of Recorded Books — an excellent company for producing books on tape — and ordered my audiobooks by mail. I listened to a lot of books that way. Now it is so easy to have an Audible membership and simply download a book to my phone. I do love to listen to all kinds of books! What was the first audiobook you listened to? This entry was posted in Audiobooks, Memories on February 23, 2017 by Robin. After retirement, I became a walker. Music accompanied me for a while and then I discovered I could download books to my phone. Eureka! I have heard wonderful stories on my walks. I tried to remember my first listen and realized it went much farther back. Years ago, my parents and I took a road trip and listened to The Secret Life of Bees. What a wonderful memory of a special time together. Thank you for asking! Marlo, thank you for sharing those wonderful memories and your enjoyment of listening to books! I’m not 100% sure, but I think my first audiobook was Harry Potter and the Sorcerer’s Stone. It was either that or Ken Follett’s World Without End. I’ve been hooked ever since, although I’m learning that I prefer fiction to nonfiction these days. My mind tends to wander when I’m listening to nonfiction. Les, the Harry Potter series are wonderful as audiobooks! I need to listen to them again! And I’ve never read Ken Follett, but I was looking at his books on Audible just recently and thought I needed to listen to him! You’ve inspire me to do just that! I only have started listening to audiobooks in the last few years. The first one was Redshirts by John Scalzi. Or, maybe Ready Player One by Ernest Cline. I think it was the second one, but I ended up reading the end and not finishing it on audio. Can’t remember why! Kelly, I run into the same thing every so often — I end up finishing by reading the rest of the book. I did that with Little Women last month. I just got tired of listening and wanted to read it, so I read the last 1/3 of the book on my Kindle. What good memories! I too borrowed the cassettes from the library, then became a member of Recorded Books, and now use Audible to listen on my phone. I have no clue what my first book was. A long time ago. Probably a mystery – my favorite genre for most of my life – well, really all my life. And I also use audiobooks to keep my walks interesting and I listen in the car and when I fold laundry and change the sheets on the bed and, and, and….LOL! Kay, wonderful memories! I love listening to mysteries as well. Our new car is wonderful for listening to audiobooks. It starts my current audiobook right up without me having to do anything with my phone. The car is definitely smarter than me, and the audio system was definitely designed by music and book lovers! I LOVED audio books. I also borrowed from Recorded Books, and from Blackstone Audio. I spent a ton of money doing this, but how I loved them. I was driving a lot more in those days, and also, I would listen if I woke up at night. Now, I read my kindle. Nan, I never ordered from Blackstone Audio although many of the library audiobooks were done by them. I do love listening in my car and while I knit (if I’m not working on a complicated pattern), but I, too, read my kindle at night. I haven’t done this much but the other day I listened to C.J. Sansom’s Heartstone. Anton Lesser did the reading and he was fantastic but unfortunately there was an error on one of the CDs which meant the plot became rather more confusing than was intended! Victoria, that’s too bad that there was an error. I’ve had that happen once before, and it took a lot to figure out what had happened. I haven’t listened to Heartstone, but I do love really good narrators. They’re real artists! They are because they have to do so many different voices and make them distinct from each other. Anton Lesser is a big favourite. I love to think my first audiobooks were the kid ones on records and cassettes that had you turn the page “when the chimes ring, like this”. 🙂 I listened to those all of the time.